"This is a giant step in the history of medicine." SyFy has unveiled an official trailer for an indie sci-fi film titled Realive, set in the future. The played at various genre/fantasy film festivals around Europe last year, but is just now arriving in the US. Realive is about a man who decides to be cryogenically frozen, and is awoken 60 years later in the year 2084. He is the first person to be revived in history, and emerges into a "startling" future. Despite his attempts to escape the past, it still catches up with him. Tom Hughes stars Marc Jarvis, and the full cast includes Charlotte Le Bon, Oona Chaplin, Barry Ward, Julio Perillán, Rafael Cebrián, Bruno Sevilla, and Daniel Horvath. This does look intriguing, I'm very curious to see what ideas they'll address in the future and how things have changed in big ways and small. Check this out. Marc (Tom Hughes) is diagnosed with a disease and is given a short time to live. Unable to accept his own end, he decides to freeze his body. Sixty years later, in the year 2084, he becomes the first cryogenically frozen man to be revived in history. Marc discovers a startling future, but the biggest surprise is that his past has accompanied him in unexpected ways. 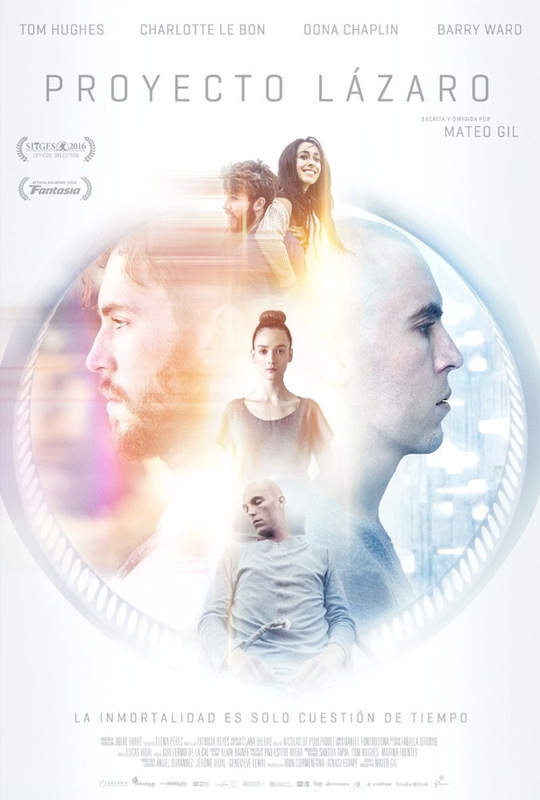 Realive is both written and directed by Spanish filmmaker Mateo Gil, of the films Blackthorn, Nobody Knows Anybody, and a number of short films previously. This first premiered at the Fantasia Film Festival last summer, and also played at the Sitges and Trieste Film Festivals and others around the world. SyFy will release Mateo Gil's Realive in select theaters starting on September 29th, followed by a VOD release the next week after. Who's interested in this film? Look good?